Saskatchewan Rivers Public School Division celebrates Canadian School Counselling Week to highlight the tremendous impact school counsellors can have in helping students achieve school success and plan for a career. Across the country, Canadians recognize the unique contribution school counsellors play in supporting student success. School counsellors are professionals who support the personal, social, educational, and career development of students and make positive contributions to the mental health and well-being of Canadians. School counsellors are actively engaged in helping students examine their abilities, strengths, interests and talents. School counsellors partner with parents as they encounter the challenges of raising children in today’s world; focus on positive ways to enhance students’ social/personal and educational development; and work with teachers and other educators to provide an educational system where students can realize their potential and set healthy, realistic and optimistic aspirations for themselves. 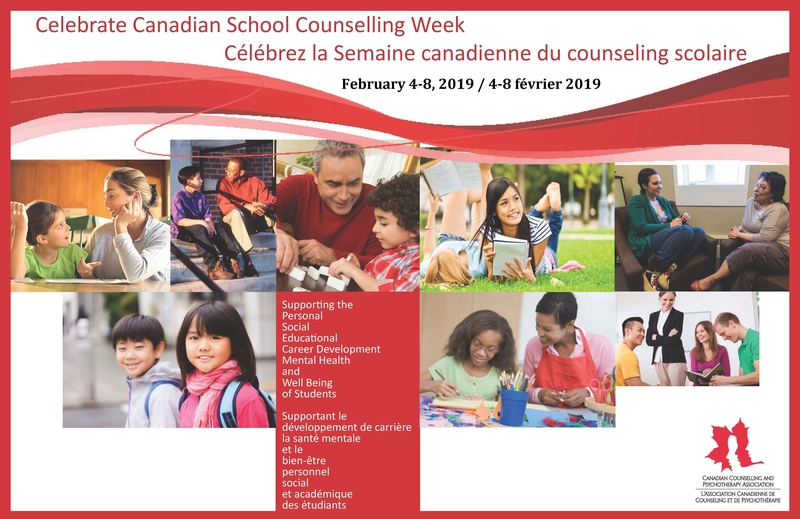 During Canadian School Counselling Week, let us take this opportunity to thank school counsellors for the important role they play in schools across Canada.